On September 9th, The Federal Register issued a “public inspection document” (which it does the day before any rule is published), which indicates VA is proposing a presumptive rule of service connection for eight conditions for those who served at Camp Lejeune for no less than 30 days from August 1, 1953 through December 31, 1987. “In addition, VA proposes to establish a presumption that these individuals were disabled during the relevant period of service, thus establishing active military service for benefit purposes. Under this proposed presumption, affected former reservists and National Guard members would have veteran status for purposes of entitlement to some VA benefits.” The conditions covered include (1) kidney cancer; (2) liver cancer; (3) Non-Hodgkin’s lymphoma; (4) adult leukemia; (5) multiple myeloma; (6) Parkinson’s disease; (7) aplastic anemia and other myelodysplastic syndromes; and (8) bladder cancer. What is disturbing is the list of included presumptive conditions. Currently you can get health benefits from the VA for breast, lung and esophageal cancer, miscarriages, scleroderma, female infertility, renal toxicity, neurobehavioral effects and hepatic steatosis. Yet, under the proposed rule, none of those conditions will apply. Oddly, the presumptive service connection rule will include anemia and Parkinson’s disease where the VA currently doesn’t provide health benefits for those conditions. Essentially the health benefits and presumptive diseases do not overlap, which seems unreasonable. They’re hoping to implement these presumptive conditions into Law by January 2017. It should also be noted that there are no retroactive benefits when it comes to presumptive conditions. The effective date of your benefits will be when the law was enacted. 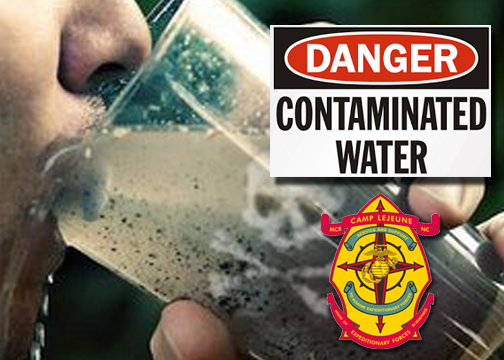 In order to obtain retroactive benefits for service connection to Camp Lejeune water contamination, you must appeal an already active claim. If you have a diagnosis for one of the eight conditions listed above and served at Camp Lejeune for no less than 30 days within the designated time period and do not have an active claim, you should apply for benefits immediately. At Marcari, Russotto, Spencer & Balaban we’re determined to see all Camp Lejeune veterans get the benefits they deserve. Call us from anywhere in the nation at 866-866-VETS or contact our office online. We are sorry to about that. We would be happy to discuss this with you. You can reach us directly at 866-866-8387 or visit our website.